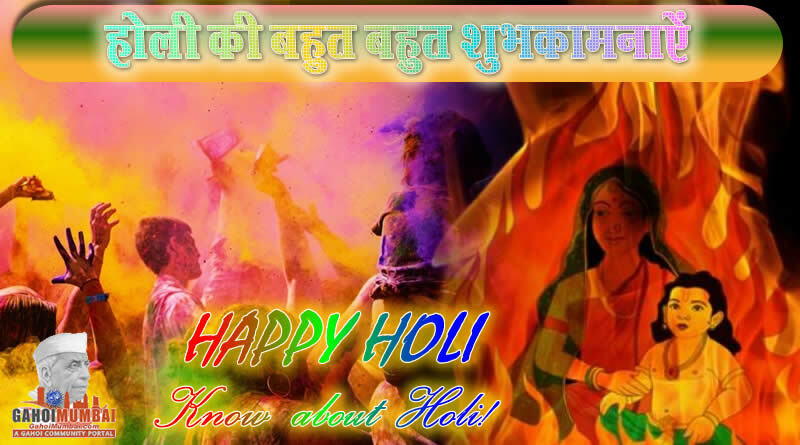 Well-known Holi is a festival of colours which is celebrated in spring season. Festival Holi signifies the conquest of good over evil on the arrival of spring and end of winter. It is a day to meet others, play and laugh, forget and forgive, and repair broken relationships. Holi is also celebrated as a thanksgiving for a good harvest. The first evening is known as Holika Dahan or Chhoti Holi and the following day as Holi, Rangwali Holi, Dhuleti, Dhulandi, or Phagwah. Colourful Holi is an ancient Hindu religious festival which has become famous with non-Hindus in numerous parts of South Asia, as well as people of other societies outside Asia. In present era, the festival has spread to parts of Europe and North America as a spring celebration of love and togetherness with colours. The significance of Holi (Phagwah) are common in some Caribbean and South American communities of Indian origin such as Guyana and Trinidad and Tobago. It is also celebrated with great enthusiasm in Mauritius. Holi Celebration Time and Date: Holi lasts for a night and a day, starting on the evening of the Purnima (Full Moon day) falling in the Vikram Samvat Hindu Calendar month of Phalguna, which falls somewhere between the end of February and the middle of March as per Gregorian calendar. As per Vishnu legend (A festival in honour of Vishnu and his follower Prahlada), Holi is celebrated as a festival of colours in the respect of Hindu god Vishnu and his follower Prahlada. Well-known King Hiranyakashipu, (described in chapter 7 of Bhagavata Purana), was the king of demonic Asuras, and had earned a boon that gave him five extraordinary powers as he could be killed by neither a human being nor an animal, neither indoors nor outdoors, neither at day nor at night, neither by astra (projectile weapons) nor by any shastra (handheld weapons), and neither on land nor in water or air. Hiranyakashipu became big-headed and arrogant, believed that he was God, and wanted that every person worship only him. Demon king Hiranyakashipu’s own son, Prahlada, was differed and disagreed with father’s desire. He was and remained devoted to Lord Vishnu. This enraged Hiranyakashipu. He subjected Prahlada to harsh punishments, none of which affected the boy or his resolve to do what he thought was right. Lastly, Holika, Prahlada’s evil aunt, tricked him into sitting on a pyre with her. Holika was wearing a cloak that made her protected to injury from fire, while Prahlada was not. As the fire roared, the cloak flew from Holika and covered Prahlada, who remained alive while Holika charred. Vishnu, the god who appears as an avatar to reinstate Dharma in Hindu beliefs, took the avatar of Narasimha – half human and half lion, at dusk (when it was neither day nor night), took Hiranyakashyapu at a doorstep (which was neither indoors nor outdoors), placed him on his lap (which was neither land, water nor air), and then eviscerated and killed the king with his lion claws (which were neither a handheld weapon nor a launched weapon). The Holika fire and Holi indicates the celebration of the emblematic victory of good over evil, of Prahlada over Hiranyakashipu, and of the fire that burned Holika. As per Krishna legend (A festival of love in honour of Krishna and Radha), In the Braj region in Uttar Pradesh, India, where the Hindu god Krishna grew up, the festival is celebrated until Rangpanchmi in honor of the divine love of Radha for Krishna. In spring, Holi celebrated as a festival of love. There is an emblematic myth behind honoring Krishna as well. In the childhood, Krishna developed his characteristic dark blue skin colour because the demon Putana poisoned him through her breast milk. In his adolescence, Krishna despaired whether the fair-skinned Radha and other girls would like him because of his skin colour. His mother, tired of the Krishna’s desperation, asks him to meet Radha and colour her face in any colour he desired. Then he does this, and Radha and Krishna became a couple. Since, the playful colouring of Radha’s face has been remembered as Holi. As per Shaivism and Shaktism legends (A festival of Shiva’s return from Yogi world to Real world of love),the celebration of Holi is linked to tale of Shiva as Shiva in yoga and deep meditation, goddess Parvati wanting to bring back Shiva into the real world, seeks help from the Hindu god of love called Kama on Vasant Panchami. The love god shoots arrows at Shiva, the yogi Shiva opens his third eye and burns Kama to ashes. This shocks both Kama’s wife Rati (Kamadevi) and his own wife Parvati. Rati performs her own meditative self-discipline for forty days, upon which Shiva appreciates, forgives out of compassion and restores the god of love. This return of the god of love, is celebrated on the 40th day after Vasant Panchami festival as Holi. As per Sikh Religion, Sikhs have customarily celebrated the festival in the 19th century, with its historic texts referring to it as Hola. Guru Gobind Singh – the last human guru of the Sikhs – modified Holi with a three-day Hola Mohalla extension festival of martial arts. The extension began the day after the Holi festival in Anandpur Sahib, where Sikh combatants would train in mock battles, compete in horsemanship, athletics, archery and military exercises. Famous Holi celebrations start on the night before Holi with a Holika Dahan where folks gather, perform religious rituals in front of the bonfire, and pray that their internal evil be demolished the way Holika, the sister of the demon king Hiranyakashipu, was killed in the fire. The next morning is celebrated as Rangwali Holi as festival of colours, where people smear each other with colours and drench each other with various colour mixed water. Water guns (Pichkaari) and water-filled balloons are also used to play and colour each other. It is a festival for anyone and everyone, friend or stranger, rich or poor, man or woman, children and elders. The celebration with colours happens in the open streets, open parks, outside temples and buildings. Many groups of people carry drums and other musical instruments as DJ, go from place to place, sing and dance. People also meet and greet family, friends and foes to throw coloured powders on each other, laugh and gossip, then share Holi Sweets, Holi Dishes, food and drinks. Some usual food and drinks include bhang (marijuana), which is intoxicating. In the evening, after playing with colours, and cleaning up, people bathe, put on clean clothes, and visit friends and family for enjoying Holi related dishes, drinks and delicacies. Please use natural colours instead of harmful chemical mixed colours. Famous Holi celebrations start on the night before Holi with a Holika Dahan, people start gathering wood and combustible materials for the bonfire in parks, community centers, near temples, fields and other open spaces. On top of the pyre is an effigy to signify Holika who tricked Prahalad into the fire. Inside homes, people stock up on pigments, food, party drinks and festive seasonal foods such as gujiya, mathri, malpuas and other regional cuisines. On the eve of Holi, typically at or after sunset, the pyre is lit, indicating Holika Dahan. The ritual indicates the victory of good over evil. People gather around the fire to sing and dance. Colourful Holi celebrations start the morning after the Holika bonfire. 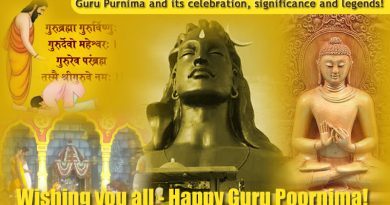 There is no tradition of holding puja (prayer), and the day is for partying and utter enjoyment. Children and young people form groups armed with dry colours, coloured solution and water guns (pichkaris), water balloons filled with coloured water, and other innovative means to colour their targets. Usually, washable natural plant-derived colours such as turmeric, neem, dhak, and kumkum were used, but water-based commercial pigments are gradually used. All colours are used. Everyone in open areas such as streets and parks is game, but inside homes or at doorways only dry powder is used to smear each other’s face. People throw colours and get their targets completely coloured up. By late morning, everyone looks like a canvas of colours. This is why Holi is given the name “Festival of Colours”. Specific Holi as Latth Maar Holi in Braj: In the Braj region around Mathura, in Uttar Pradesh, India, the festivities may last more than a week. The ceremonies go beyond playing with colours, and include a day where men go around with shields and women have the right to playfully beat them on their shields with sticks. Specific Holi In South India: In south India, on the day of Holi, some worship and make offerings to Kaamadeva, the love god as per Indian mythology. State and Country specific Holi Celebration: Holi Celebration is varied and specific in various states and countries as per rituals and cultural means. Gujarat: Here, Holi is a two-day festival. On the evening of the first day people light the bonfire. People pour raw coconut and corn to the fire in honour of Vishnu and Prahlada. The second day is the festival of colour or “Dhuleti”, celebrated by sprinkling coloured water and smearing colours on the face of each other. In Ahmedabad like, it is also celebrated as just like Janmashtami as hanging buttermilk filled pot and break it by making human pyramids. The girls try to stop to break pot by throwing coloured water on them to remember the pranks of Krishna and the boys to steal butter and “gopis” while trying to stop the girls. The boy who finally manages to break the pot is crowned the Holi King. As per Hindu customs as in some places the woman beats her brother-in-law with a sari rolled up into a rope in a fake anger and tries to drench him with colours, and in turn, the brother-in-law brings sweets (Indian desserts) to her in the evening. Uttar Pradesh: In Uttar Pradesh’s various places, the Holi is celebrated in a very big way. People from around the world come Braj region to celebrate Holi. In the Barsana, a town near Mathura, Holi celebrates Lath mar Holi in the spreading compound of the Radha Rani shrine. Thousands gather to witness the Lath Mar Holi when women beat up men with sticks as those on the sidelines become overexcited, sing Holi songs and shout “Sri Radhey” or “Sri Krishna”. The Holi songs of Braj mandal are sung in pure Braj, the native language. Holi celebrated at Barsana is unique in the sense that here women chase men away with sticks. Males also sing provoking songs to grab attention of women. Women then go on the offensive and use long staves called lathis to beat the men, who protect themselves with shields. Mathura is the birthplace of Lord Krishna. In Vrindavan, Holi is celebrated with special puja and the traditional custom of worshipping Lord Krishna; here the festival lasts for sixteen days. In some place Matki Phod just like Krishna Janmashtis also happened during Holi. In the Kanpur area, Holi lasts seven days with colour. On the last day, a grand fair called Ganga Mela or the Holi Mela is celebrated. In Gorakhpur, the day pig Holi starts with a special puja. This day, called “Holi Milan”, is considered to be the most colourful day of the year, promoting brotherhood among the people. People visit each house and sing Holi songs and express their gratitude by smearing coloured powder (Abeer). It is also considered the beginning of the year, as it occurs on the first day of the Hindu calendar year (Panchang). Uttarakhand: The holi celebration is a musical affair in Kumaoni Holi in Uttarakhand. 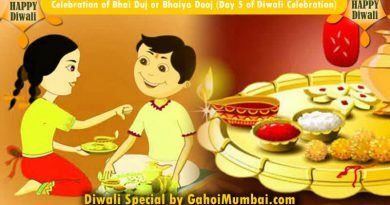 It celebrates in various type as Baithki Holi, the Khari Holi and the Mahila Holi. In Baithki Holi and Khari Holi, people sing songs with a touch of melody, fun and spiritualism. These songs are essentially based on classical ragas. Baithki Holi, also known as Nirvan Ki Holi, begins from the premises of temples, where Holiyars sing Holi songs and people meet to participate, along with playing classical music. The Khari Holi is mostly celebrated in the rustic areas of Kumaon. The songs of the Khari Holi are sung by the people, who, wearing traditional white churidar payajama and kurta, dance in groups to the tune of ethnic musical instruments such as the dhol and hurka. In the Uttarakhand, the Holika pyre, known as Cheer, is ritually built in a ceremony known as Cheer Bandhan fifteen days before Dulhendi. The Cheer is a bonfire with a green Paiya tree branch in the middle. The colours used on Holi are derived from natural sources. Dulhendi, known as Charadi is made from flower extracts, ash and water. Bihar: Phaguwa or Holi is celebrated with fervor. On the eve of Phalgun Poornima, people light bonfires. They gather dried cow dung cakes, wood of the Araad or Redi tree and Holika tree, grains from the fresh harvest and unwanted wood leaves in the bonfire. Holi Milan is also happened in Bihar, where family members and well-wishers visit each other’s family, apply colours (abeer) on each other’s faces, and on feet, if elderly. West Bengal: In this state, Holi is also called “Dol Jatra”, “Dol Purnima” or the “Swing Festival”. The festival is celebrated in a dignified manner by placing the icons of Krishna and Radha on a scenically decorated palanquin which is then taken round the main streets of the city or the village. People sing and dance to the accompaniment of musical instruments, such as the ektara, dubri, and veena. The family head does a fast and prays to Lord Krishna and Agnidev. After all the customary customs are over, he smears Krishna’s icon with gulal and offers “bhog” to both Krishna and Agnidev. There are a lot of films which have celebrated colourful Holi in their narrative. 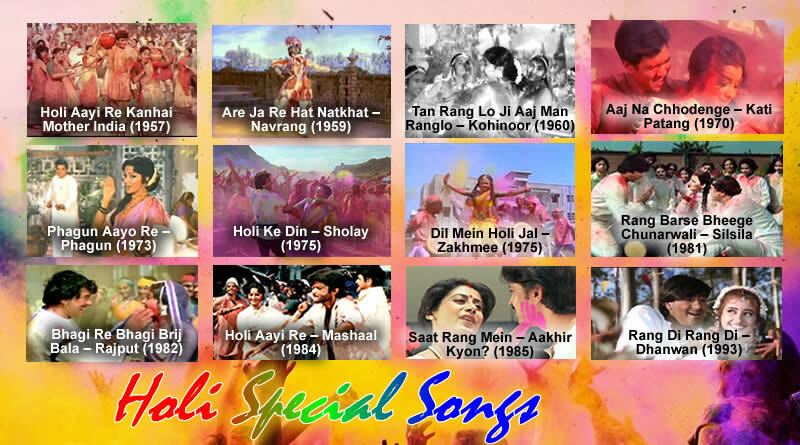 We have a few hit Holi songs which really make our Holi colourful and musical with their tuneful and melodious tunes. 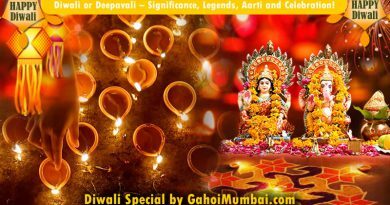 ← Enjoy the Holi with Mumbai Gahoi Samaj’s special gift!